You know what time of year it is, right? It is the time to save big on your shopping. 15 August is almost here, and the top e-commerce giants are all set to offer you the best discounts on their products. On the occasion of this Independence Day Sale in India; Amazon, Flipkart, Paytm and other websites are bringing the best offers of the year on the table, and we have chosen the top offers among all the Independence Day offers just for you. 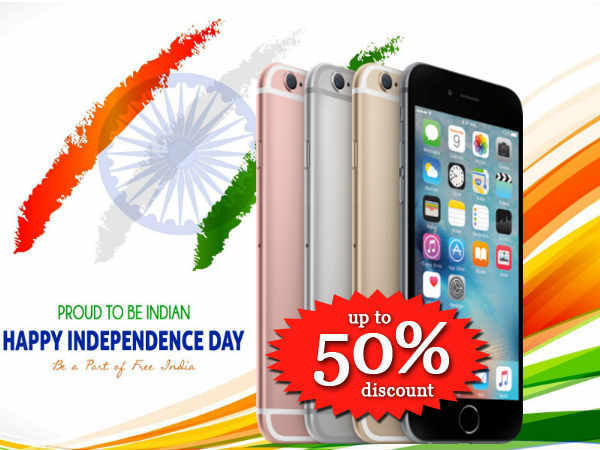 Independence Day online offers does not only limit the deals on mobile phones but expand out to a wider range. Both the Flipkart Independence Day sale and the Amazon Independence Day sale are offering cashback on HDFC and SBI cards respectively, and the buyers can make full use of it. So, without any further ado, let's get started with the list of top gadget deals on offer. Going by the usual pattern like every year, you can find the Independence Day offers on mobile phones this year too. The best among these being the Apple flagship from the last year. Independence Day offers in Amazon include the iPhone 7 for a whopping price of 42,999 INR, i.e., about 13,201 INR less than the price it was originally launched at. More to the user's benefit, Amazon is also offering a 15% cashback on SBI credit and debit cards from 9 to 12 August in this Great Indian Sale. This can bring down the effective price of the iPhone 7 to 41,500 INR. Another attraction among the various Independence Day deals online is the Moto G5 Plus. Both the Flipkart Big Freedom Sale and the Amazon Great Indian Sale are offering Flat 1000 INR off on the recently launched Moto G5 Plus. The phone is one of the best budget phones with the efficient Snapdragon 625 chipset. With the best in class camera in its range Moto G5 plus is a steal at the price of 14,999 INR with extra cashback offers up to 15% from Amazon and Flipkart on SBI and HDFC cards respectively. More offers on Independence Day Offers include the discount on Google’s flagship from the last year. The Google Pixel is currently priced at 42,299 INR on the Paytm mall, and the Paytm users can get it for 35,723 INR by using the code MOB16. Google Pixel has seen a drop in the price considering the launch of the Pixel 2 in the coming months; it is currently the only smartphone that Google offers and receives all the latest updates and security features on time. The Swag Phone launched earlier this year by Honor is also on offer with a 1000 INR flat discount. Like the other Independence Day mobile offers, the phone can be bought with a 15% cashback on the Amazon India App by the SBI credit and debit card holders during the Amazon Independence Day Sale. The 32 GB variant is priced at 10,999 INR while the 64 GB variant is priced at 11,999 INR. LG Q6 is the latest phone offering by the LG in the budget range segment. One of the few phones in this segment to provide the bezel-less experience, LG Q6 is launched at 14,990 INR before the Independence Day week. Much to the joy of the LG fans, the phone can be purchased with 1500 INR cashback with the SBI cards during the Great Indian Sale. The Independence Day sales for other electronic devices are also attractive, and the 1 TB external hard drive from Seagate is on offer for a price of 4,099 INR on the Amazon Sale. The 1 TB External Hard Drive also supports USB 3.0 and is available in different colors. The deal at the time of writing is claimed 13% on the Amazon Independence Day Sale, if it is out of stock you can avail the second-best deals on the Big freedom sale of Flipkart. Another noteworthy deal is the Lenovo HW 01 Smartband at the cost of 1,899 INR on Flipkart Independence Day sale. This recently launched Lenovo product is a Flipkart exclusive and has features like Heartbeat monitor and steps counter. The smart-band is compatible with both the iOS and Android. So, that’s the list guys. The top Independence Day Sale deals that are currently available on the internet. Stay tuned to us for more, as we will regularly keep you updated with the new offers on this Independence Day sale 2017. The Independence Day offers in India will keep coming up throughout the week before Independence Day and other players in the e-commerce market like the ShopClues Independence Day offer will heat up the Independence Day Sale Online. Also, check out the deals on Myntra and Snapdeal for more Independence Day offers. 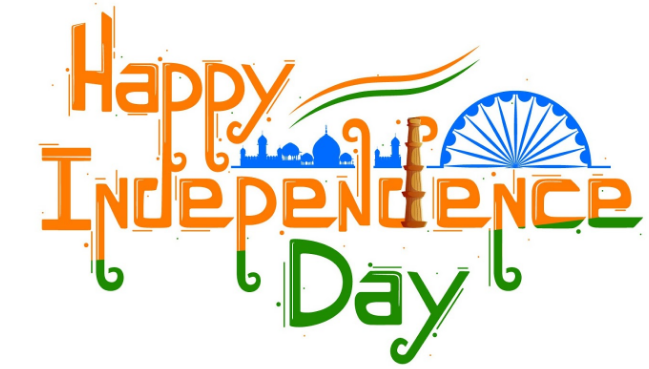 Independence Day Greetings: Pictures, Quotes, Messages, Images, etc.